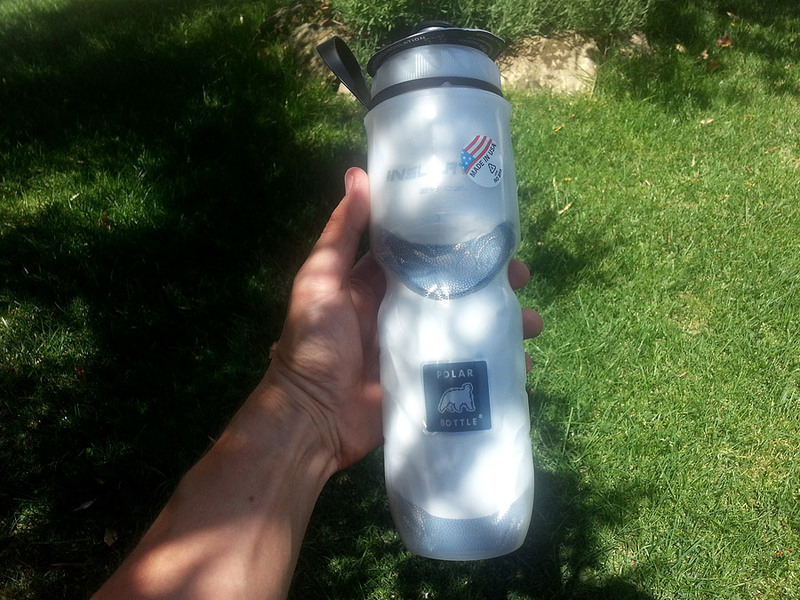 Home » bikes, gear and gadgets » Caption contest: win a Polar Bottle! Caption contest: win a Polar Bottle! Fill your Polar Bottle up about 80% and put it in the freezer the night before you go on a bike ride. If the bike route is less than 50 kilometers, then you should take the bottle out of the freezer at least one hour before you leave, otherwise you can leave the Polar Bottle in the freezer until the moment you start your ride in the Sicilian hills and mountains. leave a funny caption for the following photo in the comments before June 15th. NB You have to leave an email address, but this address won’t show up in the comments. I will pick the best caption and will announce and contact the winner on June 16th. You are allowed to leave more then one comment so type away and write something funny! No the van isnt propping me up, i am propping it up! 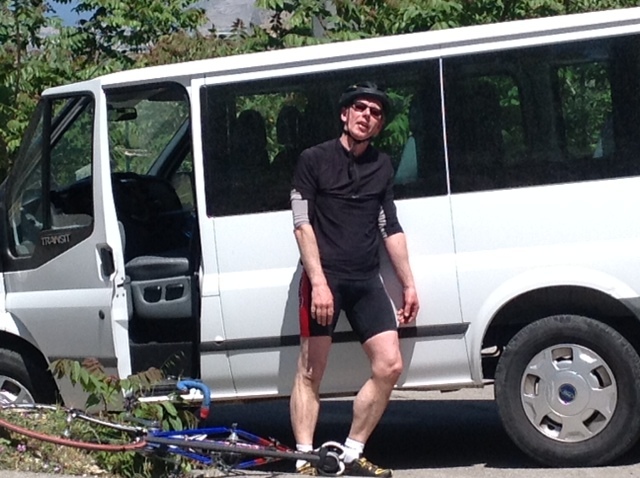 I might have crash my van, my bike might have crash me but I won’t crash because I have my Polar Bottle, I hope! I feel like crying without my Polar Bottle. Just hurry up and take the photo…. I’m sweating my nuts off wearing Black in this Sicilian heat….